MANILA, Philippines - Bicol region premier state universities and college swept the April 2015 Midwifery board exam top 10 list of passers. 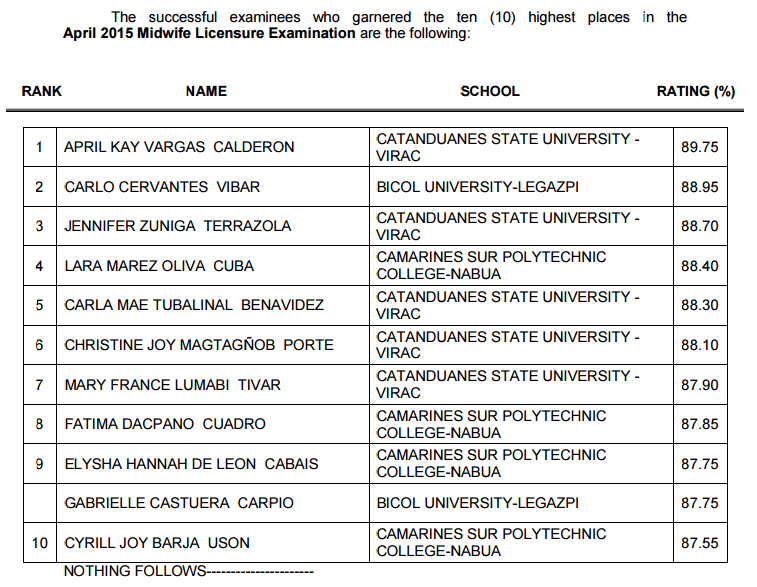 April Kay Vargas Calderon, graduate of Catanduanes State University (CSU) - Virac campus topped the 882 out of 1,968 passers of Midwives board exam with 89.75 percent grade. Bicol University (BU) - Legazpi graduate Carlo Cervantes Vibar placed second with 88.95 percent grade. 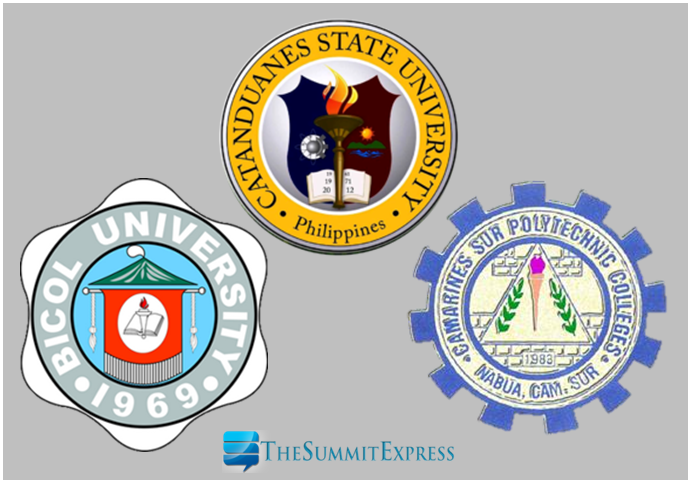 The top 10 list is dominated by CSU with 5 topnotchers, BU with 2 topnotchers and Camarines Sur Polytechnic College (CSPC) - Nabua with 4. The Catanduanes State University, also among the PASUC-AIM Philippines’ Top 19 State Universities and Colleges is considered as the top-performing school in Midwifery in the country.